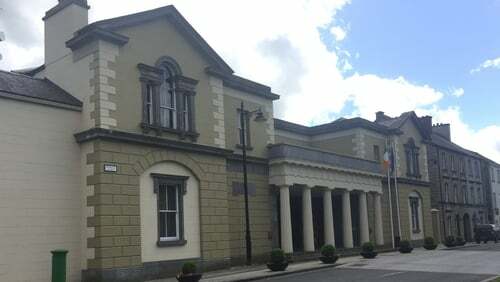 A Co Mayo business has been fined €500,000 in connection with the death of a man in a workplace accident four years ago. Joseph Harrington died when he fell into a stone crusher at Harrington Concrete and Quarries in Aghamore, near Ballyhaunis, on 11 June 2015. The 27-year-old fell around five metres from a location that had no physical barriers to protect those working near the machinery in question. Mr Harrington, who was no relation of his employer, died instantly. The company pleaded guilty to three breaches of health and safety legislation, following an investigation by the Health and Safety Authority. The first related to a failure to have sufficient barriers around the crushing machinery; the second was in connection with an absence of systems to safely unblock the crusher; and the third in relation to other breaches of workplace safety legislation. During a sentencing hearing last autumn, Castlebar Circuit Criminal Court was told that there were no witnesses to the accident, but it was suspected Mr Harrington fell into the crusher while trying to release a blockage. Judge Rory McCabe said he found it "really disturbing" that the accident "could so easily have been avoided". Counsel for Harrington Concrete and Quarries told the court that the company had invested in remedial works to ensure a tragedy of this kind would not happen again. Today, Judge Rory McCabe said he had considered the evidence in detail, along with the financial position of the firm. He said he accepted the expressions of remorse from the company and he acknowledged that measures had been taken to improve safety at the quarry. But he said the nature of the offences merited a fine proportional to the wrongdoing. Judge McCabe said the purpose of the sentence was to mark the gravity of the breaches of health and safety legislation, as well as sending out a warning that such guidelines were of vital importance to protect workers. Taking into account mitigating factors, he imposed a fine of €500,000. Harrington Concrete and Quarries has been given six months to pay the fine. The Health and Safety Authority has responded to the outcome of the case. In a statement, Mark Cullen, Assistant Chief Executive of the HSA said: "It is vital that employers ensure that they provide safe plant and machinery and that there are appropriate safe systems of work in place designed to protect their employees. "Furthermore, such measures should be specified in the company safety statement. "The failures that contributed to this incident are clear and the consequences for Mr Harrington and his family were tragic."